We’re as discerning about the wood we choose as we are about the finer points of staircase design. ‘Every staircase we craft is designed to last a lifetime,’ says Jarrod Matthews, for whom the company is named. ‘We travel the world sourcing ethically sourced timber that’s as strong as it is beautiful,’ he says. So if you’ve ever wondered where that elegantly crafted oak newel post came from, here’s all you need to know. We are very particular when it comes to our oak. We let our trees age to maturity, which for carpenters purposes means no younger than 100 years old and no older than 150 years old. 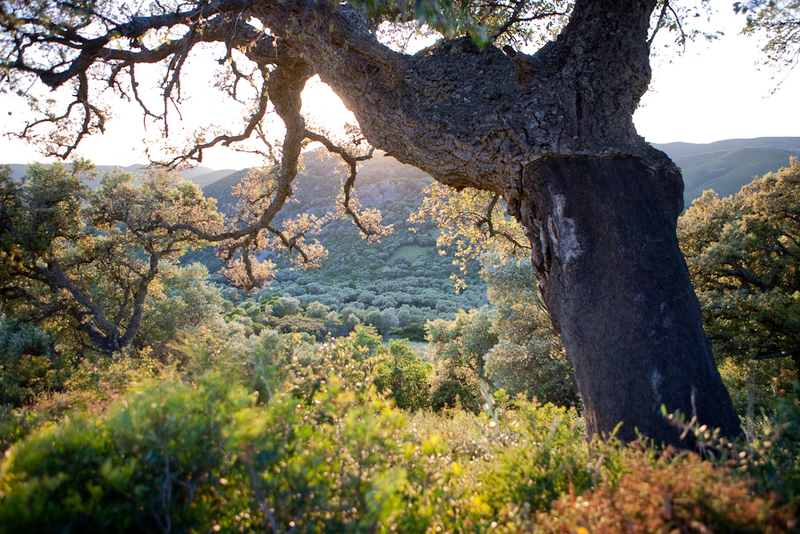 We are passionate about sustainability, too, and so plant twice as many trees as we use. * When you harvest a tree is important, too. At Jarrods, we tend to harvest our trees in the winter months. Sap occurs naturally in all trees, but less so during the winter months, which makes it tougher, and therefore better for staircase building purposes. * We use different types of wood, from different parts of the globe. For delicate, intricate work, we tend to use European oak, as it tends to be softer and more pliable. American oak is tougher, hardier and and grows taller, which means we can use it to create larger sections of your staircase. * Before we ‘harvest’ any tree, whether American or European, we quality control it to ensure it’s four sides clear’. In carpenter speak, this means we examine the timber for any defects that could impact the look, feel and of course safety of that tree. * One of the things that makes wood so beautiful is that no two trees are the same, even if they do hail from the same forest. This means your staircase is as unique as your fingerprint. 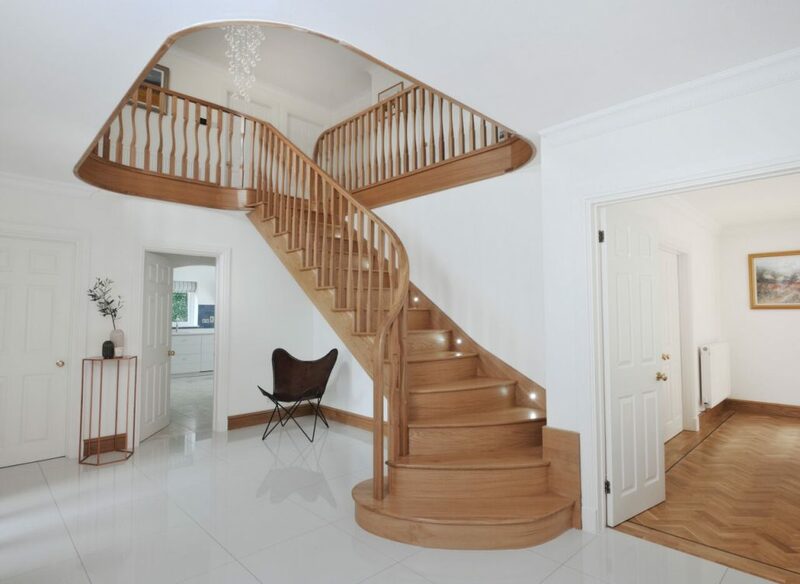 ‘Most of our clients love this about their oak staircase; the fact that the whirls and knots in it make it absolutely unique,’ says Jarrod. ‘That said, some customers prefer a more uniform look and while we can’t tell a tree how to grow, we will always do our best to create a seamless look if that’s what the customer wants,’ he says. We don’t really do laminates. We’re not being snobby, it’s just we love oak for it’s beauty and inherent strength, so that’s why we prefer to use solid oak. We craft our staircases to last, and a beautiful, solid piece of properly aged oak is the best material for the job. * You can probably tell we love our oak for a raft of reasons – from its strength to the beautiful grain and gorgeous hue. But we do use other hardwoods too. Sapele is a darker hardwood, that suits people who want a more dense, dark look and feel, while Walnut has a larger grain than oak, and more variety in its natural ‘pattern’. * We’re happy to mix it up too. Some might prefer an entire staircase crafted from the finest wood, while others might prefer something that seamlessly incorporates glass or even metal into the design. ‘We’re not prescriptive when it comes to our staircases,’ says Jarrod. ‘When we design and craft a staircase, it’s very much a collaborative process and it needs to work with the architecture of that building, as well as suite in with the client’s vision,’ he says. See more images of Rosemary Porters beautiful hallway.